Welcome To The East Rockaway Veterinary Hospital Website! The East Rockaway Veterinary Hospital located in East Rockaway, NY was established in 1979. We are a full service veterinary medical facility. It is our commitment to provide quality veterinary care throughout the life of your pet. The professional and courteous staff at The East Rockaway Veterinary Hospital seeks to provide the best possible medical care, surgical care, and dental care for their highly valued patients. We are committed to promoting responsible pet ownership, preventative health care and health related educational opportunities for our clients. 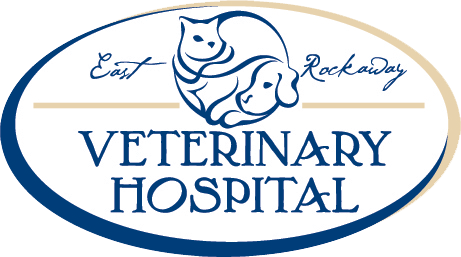 The East Rockaway Veterinary Hospital strives to offer excellence in veterinary care to East Rockaway, Lynbrook, Oceanside, Long Beach, Hewlett, Rockville Centre, Valley Stream, Island Park, and Woodmere. If you have any questions take a moment to contact us today, or to learn more about our practice philosophy and services just check out the rest of our website. There are helpful forms to assist you and there is an extensive Pet Medical Library provided by the Veterinary Information Network for you to search for additional pet health care information. Thank you for taking the time to read about our veterinary practice and the services we offer. We welcome your questions, comments and suggestions. Please contact us at (516)887-3322 for all your pet health care needs.